Vote forKangaroo Valley, NSWTop Regional Destinations Which are Australia's must-visit destinations? You help us decide. The Kangaroo Valley is a slice of scenic countryside offers everything you could ask for in a peaceful countryside getaway; it's relatively underrated and lacks excessive crowding, it's renowned for delectable produce for visitors to relax and enjoy, it has a mild and comfortable climate, and, perhaps most importantly, it's strikingly beautiful. A visit to Kangaroo Valley is akin to stepping back in time for all the right reasons, and as a result it's a great place in NSW to simply “unplug” and enjoy the finer things in life, as this is a land of vineyards, rolling fields fringed by rugged mountains, culturally significant buildings and quaint cottages in the Shoalhaven region. It's a historic part of NSW that often goes overlooked, which is something of a shame as the Valley has a more-than-justified National Trust listing that is more than backed up by its natural beauty – there's some breathtaking panoramas on offer here that intermingle both temperate and eucalypt rainforests which are home to the likes of platypus, kookaburras and various other Australian animal icons. Bush walks are immensely rewarding in Kangaroo Valley and result in a number of sensational viewpoints such as the Three Views Walk overlooking tranquil Lake Yurrunga. Culinary aficionados will likewise enjoy their time here, as local producers of wines, olives, extra virgin olive oils, cheeses, fudges and chocolates have perfected their craft, and visitors can enjoy tastings of each on a popular foodie trail. Those looking to dine in can take advantage of a number of subdued and delightful offerings, including cafes, bakeries, pubs and tea rooms that come replete with an extremely down-to-earth service representative of the region's inhabitants as a whole. Activity-wise, the focus here is largely leisurely as well, with canoeing, horse riding and mountain biking amongst Kangaroo Valley's most popular pastimes. As with many other escapist destinations, it's the utter lack of development and commercialism that make Kangaroo Valley special - yet it still remains within easy reach of capital Sydney, with only a 2 hour drive to the south required to access its many gifts. Looking to pay a visit to Kangaroo Valley but not sure what to do? Here are some of the most essential experiences. What's new in Kangaroo Valley in 2017/2018? 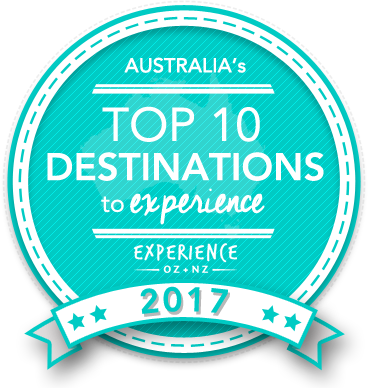 Kangaroo Valley was named one of Australia's 10 Best Getaway Spots in our major destinational content feature in 2016. Channel Nine's popular Today Show was held in Kangaroo Valley over the course of a weekend in early April 2017. The Kangaroo Valley Farmers Market are being held the second Sunday of each month, allowing the purchase of some wonderfully fresh foodstuffs. For those who enjoy a drop of the good stuff, The Kangaroo Valley Craft Beer & BBQ Festival is being held on the 18th and 19th of November. Is Kangaroo Valley Australia's Top Regional Destination to Experience for 2017? Vote now for the chance to WIN an epic trip to one of Australia's top destinations!